The newest star in the Bronx is former Red Sox centerfielder Johnny Damon. Yankees fans, now is your chance add a signature from the new CF. 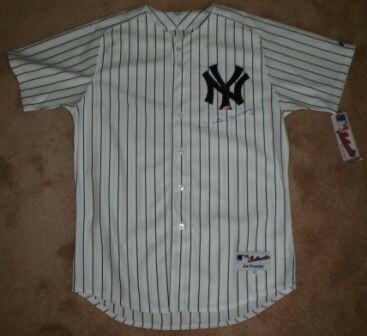 This pinstriped home Yankees jersey was hand-signed by Damon during a private signing with Steiner Sports, and includes a Certificate of Authenticity from Steiner.